The Luxembourg Ministry of Education (SCRIPT), in partnership with Vretta, the French Ministry of Education (DEPP) and leading testing and socio-economic research institutions, developed MathleTIC as part of their Digital (4) Luxembourg strategy project – MathemaTIC to help students enjoy mastering m ental mathematics in a highly interactive digital environment. 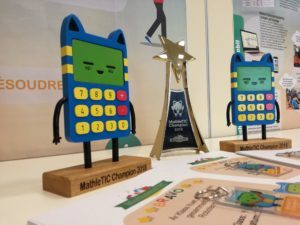 Through the annual mental math competition, MathleTIC was successfully administered nation-wide as a competition in Luxembourg from June 27th to the 29th for students from ages 9 to 14. This friendly competition was created to improve students’ mental math skills in four key areas: addition, subtraction, multiplication, and division. The competition was designed to encourage, motivate, and invite all students to learn and experience an engaging and exciting method of sharpening their mental math skills. 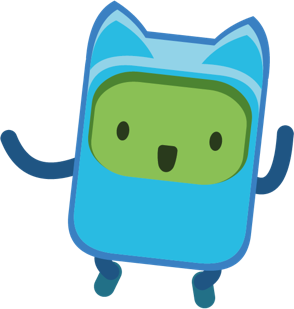 This game-based, mental math formative assessment enables students to compute answers to arithmetic operations in order to make the MathleTIC mascot run away from the pursuing space robot! Students collect stars, up to three per level, as they successfully progress through each level. All participating classes received certificates of achievement, and champions in mental math received MathleTIC trophies and MathleTIC keychains. friendly competition to prepare them for the year ahead! MathemaTIC is a pillar of the Digital (4) Education strategy established by the Luxembourg Ministry of Education as part of the “Digital Lëtzebuerg” initiative within the framework of the goals set by the European Union Horizon 2020 research and innovation programme to promote digital awareness among its citizens. The strategy was to provide all learners, irrespective of their social origin, access to quality information and pedagogical resources. The development of MathemaTIC, initiated in 2015, includes partners from SCRIPT, Vretta, the French Ministry of Education (DEPP), the University of Luxembourg, the Luxembourg Centre for Education Testing, the Luxembourg Institute of Socio-Economic Research, and the Centre de gestion informatique de l’éducation. The implementation of MathemaTIC in Luxembourg commenced as a demonstration project with teachers and students in a limited numbers of schools in 2015. Results from the project showed that children from all language groups displayed increased confidence and understanding of key math concepts. Overall support and enthusiasm for transforming math education using MathemaTIC resulted in the full-scale development and implementation of the platform for Grades 5 and 6. As MathemaTIC expanded to a full-scale program and enthusiasm grew around the project, the Luxembourg Ministry of Education extended its use for students in Grades 3 to 8 in schools across the country. MathemaTIC leverages a unique, world-leading technology, enabling learners access via desktops, laptops and tablets, further expanding its level of accessibility. Administrators have access to an equally flexible interface to monitor both class and student performance, and to receive powerful, actionable data on each learning module and on individual topics. MathemaTIC is successfully used to diagnose the skills of 21st Century learners and formatively determine the sequence of learning through highly interactive, voice-enabled formative assessments, providing students with a truly personalized learning experience. The key objective of the implementation in Luxembourg is to raise attainment in numeracy and digital skills and reduce the equity gap for students in all primary and secondary schools across the country. MathemaTIC achieves this by enabling dynamic switching between four languages (French, German, Portuguese and English), supporting both numeracy and language growth, and by enabling effective teacher and parent intervention. Today, MathemaTIC items are being used not only in Luxembourg but also in France for their national assessments. It is also being piloted in Portugal and evaluated by many other ministries of education for its implementation as a school transformation project. To participate in the MathemaTIC project to re-define math education at your school, email us at info@mathematic.org.